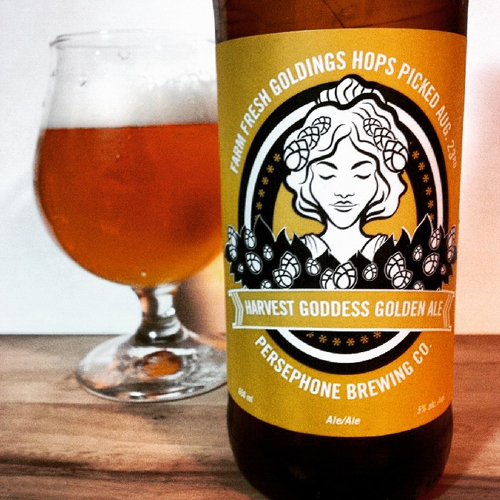 Persephone Harvest Goddess Golden Ale: Brewed as part of three fresh hop releases in 2015 (and new for this year), this Golden Ale is brewed to a strength of 5% abv with fresh Golding Hops from their own hop farm. Aroma and Appearance: It pours a clear golden colour with two fingers of foam and just a few bubbles in the glass. The aroma is herbal straw with some floral overtones and black tea leaves. 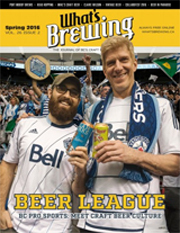 Flavour: The beer starts with some big notes of straw and hay with a slightly honey sweet middle that transitions into a mild lemon and herbal finish. All together, it’s notably refreshing, bright and clean as well. Overall Impression: I’ve had the regular version of this and the fresh hop, I’d say I enjoyed the fresh hop version more because of the intensified herbal hop notes and added flavour. Rating: I give it a very good rating of 7/10, as it’s good introduction to fresh Golding hops which is a hop variety I’ve yet to see offered out this way in wet hop form. 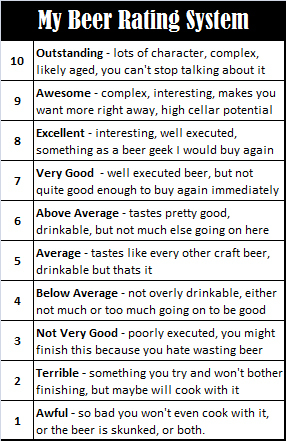 Food Pairing: A good any food beer, this will not overwhelm any particular dish, but would pair particularly nicely with a goat cheese inspired salad. As you can see from their Facebook Page post below, everyone helps them harvest their hops when the time comes!